Prison Escape Plan Survival Mission is an awesome strategy game from Airplane shooting game. Complete the prison escape mission and make the best jailbreak story of all time. You have been locked up in a highly secure prison for the past few years. It’s time to show your survival skills and escape from prison. Leave the prison as soon as possible to become the ultimate survivor of the massive criminal escape plan. The sniper shoots the police close to you and uses your weapon. Let your big prison breakout plan succeed. In the real prison life, the forces of the various parties competed against each other and survived in the cracks, the plot was ups and downs, secretly sneaked into the information, and exposed the scam. If you get stuck in the game, check out the video walkthrough and gameplay for the game. 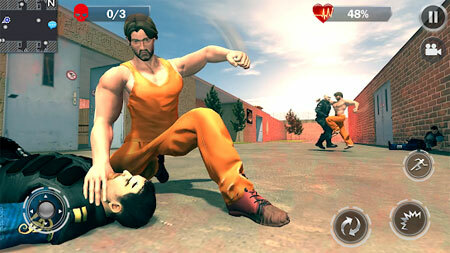 This entry was posted in Android Games, Mobile Games, Walkthrough and tagged Prison Escape Plan Survival Mission Cheats, Prison Escape Plan Survival Mission Gameplay, Prison Escape Plan Survival Mission Guide, Prison Escape Plan Survival Mission Strategy, Prison Escape Plan Survival Mission Walkthrough by Marvin. Bookmark the permalink.